Buying rolling tobacco as opposed to manufactured cigarettes is a great way of saving money, but one of the problems that rolling tobacco smokers face is how to keep their tobacco fresh. If you buy a small amount of tobacco at a time then it’s not so much of a problem as you will undoubtedly smoke it before it gets dry, but you will end up paying more in the long run. The best solution is to buy you tobacco in bulk, but as anyone will tell you, smoking dry tobacco tastes really bad. 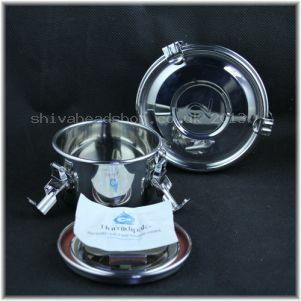 So what can you do to keep your tobacco fresh, luckily Shiva Online has a range of products to suit every budget. Prevention is the key to keeping your tobacco fresh and this can be done in a number of ways. Splitting your tobacco up into smaller, more manageable amounts is a good idea, and if you are planning to store your tobacco for an extended time you can keep it in the freezer until you need it. Here are our best products for keeping your tobacco fresh. The RAW Hydrostoneis a cheap and effective way to keep your tobacco fresh, simply soak in water for a couple of minutes then place it in with your tobacco. The Hydrostone will allow moisture to circulate among the tobacco keeping it fresher for longer. 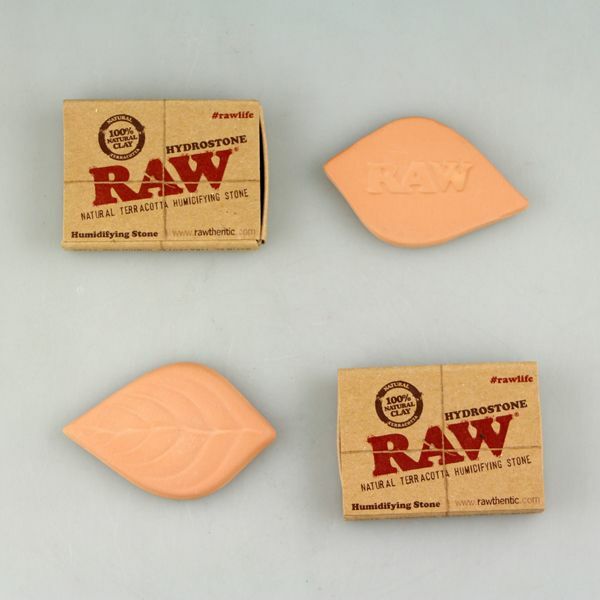 The RAW Hydrostone is 100% re-useable and is made from natural terracotta. Specially designed to keep your tobacco fresh, the CV FreshStor Humidifying Tinuses Humidipaks to give the tobacco the right amount of moisture. The airtight lid ensures that none of your precious tobacco goes astray whilst also helping to regulate the moisture. The CV FreshStor Humidifying Tin is available in small or medium. 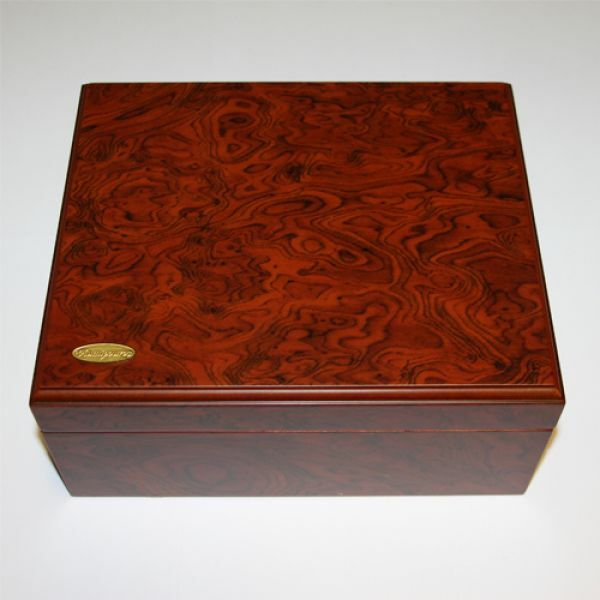 For all those cigar connoisseurs out there, the Luxury Humidor is the perfect accessory. Easy to use and maintain, the Luxury Humidoris finished with a walnut veneer and includes a handy measurement gauge so that you can maintain the perfect moisture levels. CV FreshStor Humidifying Tin – keep your tobacco fresh! Keeping your tobacco and herbal mixtures moist and fresh can be a bit of a chore, but not with the CV FreshStor Humidifying Tin. This tin is specially designed to keep your tobacco fresh and is airtight keeping all of your precious items safe. The CV FreshStor Humidifying Tin comes with a special Humidipak designed to create the perfect humidity for your smoking mixtures. These tins are available in two sizes, small and medium and can be stacked to save space, making it a great accessory if you have more than one smoking mixture on the go. The CV FreshStor Humidifying Tin is available now and with prices starting at just £17.99 it’s a great accessory for the avid smoker. Cigar Humidor – keep your cigars fresh! If you are an avid cigar smoker then you’ll know that the most important thing is to keep them fresh and tasting their best. The best way to do this is by using a cigar humidor, which has an interior that soaks up water keeping your cigars moist and fresh. This humidor is made from traditional Spanish Cedar and the lid has a picture of the iconic Bob Marley adding to its design. The humidor also comes with a lock and two intricate looking keys to secure your prized cigars from preying hands. Before you use your humidor you will have to condition the unit so that it provides the best humidification. To do this simply fill the regulator with 1 ounce of distilled water, close the humidor and let it sit for a couple of hours (the moisture will be absorbed into the Spanish Cedar), repeat the process a couple of times. Once the humidor is set up you will only need to refill the distilled water every 3-4 weeks. 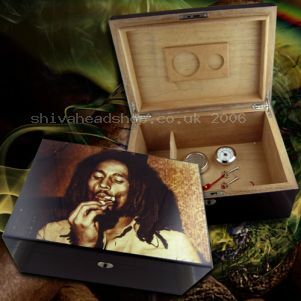 The Bob Marley Cigar Humidor is a great gift for any cigar enthusiast.